Motorola has launched the 3rd Generation Moto Z Play at an exclusive event in Brazil. It will be first available in Brazil and will later launch in US/India and other countries. The phone costs US$ 499 and may cost close to Rs. 25,000 in India. The Moto Z3 play is one of the most impressive phones that the company has launched this year and packs some really cool features. The original Moto Z Play was launched in 2016 and we did a detailed review of the device. It came with an incredible battery life, Snapdragon 625 and support for the Moto Mods. Fast forward to 2017, Motorola introduced the Moto Z2 Play, that came with astonishing 5.99 mm thickness and Snapdragon 626 SOC. 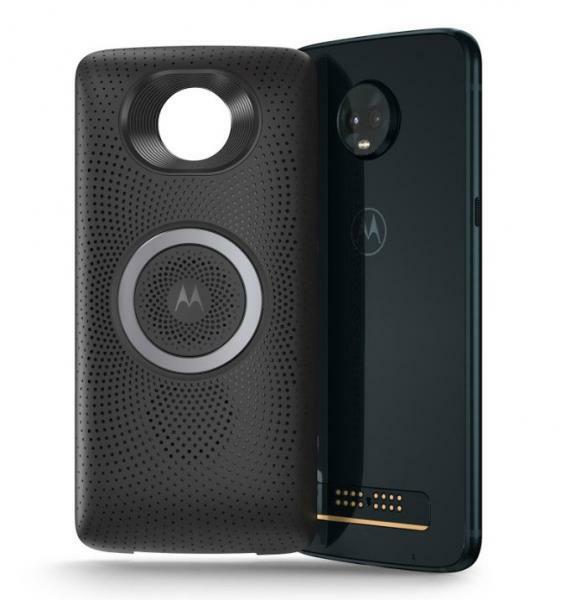 Now, we have the third generation of Moto Z Play, that offers the Moto Mods functionality and can be a decent upgrade for Moto users who have already invested in the Mods. Notably, the Z3 Play is even compatible with the older Moto Mods. Keeping end users in mind the Z3 Play brings added camera features such as Cinemagraphs and a side mounted fingerprint scanner. Cinemagraphs are a collection of still images that gives an illusion that you are watching an animation. I have added a video at the end of this article, to show what a cinemagraph looks like. Nevertheless, the Z3 Play may have a different way of implementing it by freezing some of the frames to create an awesome looking video effect. 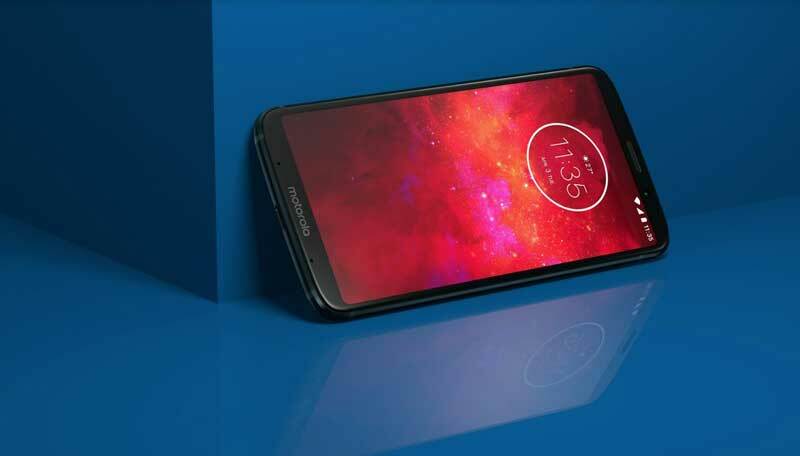 The new Moto Z3 Play boasts of AI-powered Dual Camera setup at the back of the device and comes with a bit of camera bump, you can observe in the image below. There is a primary 12 Megapixel camera that comes with f/1.7 aperture lens and there is a secondary 5 Megapixel camera with an f/2.2 aperture to click portrait shots. Also, the camera has Google Lens built within the App so it can recognize text, translate it and even recognize objects and monuments. For selfies, it comes with an 8 Megapixel camera that is much better than the 5 MP sensor found on the predecessor. Motorola is using the Qualcomm Snapdragon 636, Octa-Core processor with a 2.0 GHz clock speed and Adreno 509 GPU in the Z3 Play. Besides, there is 4/6 GB ram and it comes with 64 /128 GB storage options that are expandable using the micro-sd card. The phone features a glass back design which is protected using the Corning Gorilla Glass and the sides are made using the aircraft grade toughened lightweight aluminum. Noticeably, it is sleek and measures just 6.7mm in thickness. Furthermore, it comes with a Super AMOLED Full HD+ (2160*1080) bezel-less display, sans the notch. Motorola is not using the notch even on any of the G6 series phones that are recently launched in India. Importantly, as the full front side is the screen, the fingerprint scanner is shifted to the side, like some of the old Sony Xperia phones. Furthermore, at the back, there are magnetic pins to attach the Moto Mods, and the bottom side houses the USB Type C Port. Motorola has given the 3.5mm headphone jack a pass in the Z3 Play. It may not be the right thing to do considering a lot of people still use it. It boots the latest Android Oreo 8.1 with little nifty additions from Motorola such as three finger swipe to capture the screenshot. Or you can do a chop-chop motion to turn on the flashlight or twist the phone to open the camera app. I have used these in many moto phones and these are very clever and useful implementations. Further, the Z3 Play comes with 4 microphones that help in better voice recognition, so you can interact with the Google assistant without any struggle. Fueling the device is a 3000 mAH capacity battery that supports the proprietary turbocharging technology to ensure you never run out of power. Additionally, the company may throw-in some of the Moto Mods as launch offer in different countries. 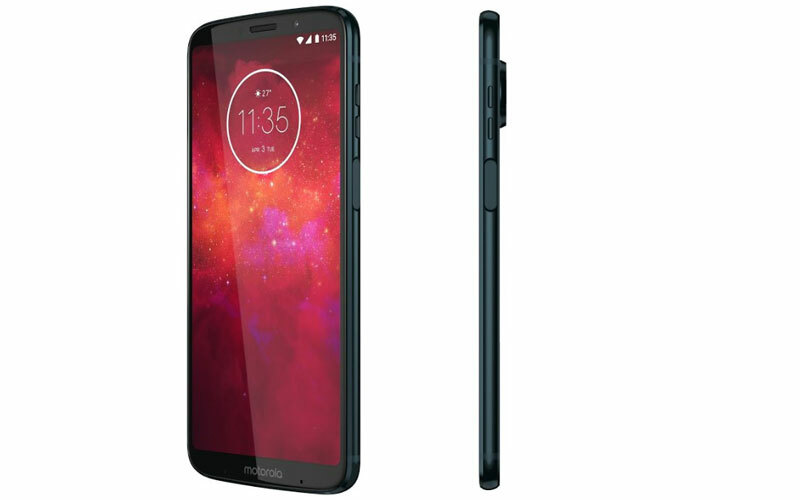 Especially they are offering the Moto Power Pack that increases the battery life up to 40 hours in combination with the device battery to many early buyers. Also, there is support for Face unlocking if that is what your heart desires, personally I still prefer the blazing fast front fingerprint scanners. Moto G6 Play Vs Oppo Realme 1 Vs Redmi Note 5: Which is Better?